Introducing the Flying Fanatic backpack. They are a great way for your child to show off their accomplishments from the Flying Fanatics kid club. 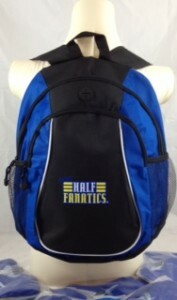 The Flying Half Fanatics logo is printed on the front of the backpack.